1. Culture influences how one thinks and reasons. 2. There are differences between cultures that influence norms. 3. Without being judgmental, cultural similarities and differences can be analytically compared and contrasted. 4. Certain universals of human existence transcend cultural differences. 5. Allow one to understand that one’s culture has shaped his/her values or beliefs. 6. Allow one to continue the development of his/her personal identity (values, beliefs, goals, etc.) based on a multicultural perspective. 7. The skills to operate effectively in multicultural and intercultural situations. 8. The motivation to address issues of contemporary global concern. Inside Higher Ed has a great article about the actual conference and can be found here. This past weekend was Accepted Students’ Day at Champlain College and I worked for the Champlain Abroad office promoting our two campuses to accepted students and their families. After giving my pitch about the programs numerous times, I realized there are a few questions that every parent ask and a few that students often ask. It got me thinking about what people should look for in a program. 1. Organization– A program should be organized so the student can submit their forms and follow through on their end, while the program is organizing everything else. The application process needs to be smooth and anything negative that happens in that process can affect a student’s abroad experience. 2. Safety– This has to do with the location of the abroad program as well as the staff. At our campuses, the directors have copies of our passports, our phone numbers, travel itinerary, and anything else that would help them keep track of us in case a situation arises. Also, the locations of our campuses are designed to keep us safe. I believe studying abroad in a “dangerous” location is a personal decision, but the staff of the program should have policies and protocols in place in case of an emergency. 3. Support- Most people don’t realize how unique American higher education is until the encounter a different style, such as Europ0ean higher education. Most colleges in Europe have huge classes of over 200 students and the classes themselves are pass/fail which don’t even require attendance. This is where some academic support or structure would really benefit American students abroad. Also, having a support team of those who run the program helps assure students that their semester abroad will be well spent. These are 3 of the largest factors that I believe students should look for when choosing a program. Do you have any other thoughts as to what students should look for? 1. SAVE SAVE SAVE! – If you have any hankering to study abroad or any desire to study abroad, start saving now. I don’t mean you have to dedicate whole pay checks to the semester, but put aside a few dollars every so often and it will pile up. One tip I’ve learned from the office is wrapping a elastic around your debit card. This way, each time you go to use your card you must take the elastic off and ask yourself if you really need this purchase or should you be saving the money to go abroad. 3. Understand exchange rates – One aspect that comes with studying abroad is using a different currency that is worth something different than American money. I can not tell you how many times I would think something in Dublin is cheap and then realize it was in Euros and wasn’t as cheap as I thought. When abroad, you must constantly remember that you are not dealing in dollars and prices on many things vary. 4. Cash or Credit based? – The US is a very friendly credit/debit card friendly place and most places accept cards and cash. This isn’t a universal commodity and many other cultures are still very cash based. Also, knowing that banks charge a fee when you use a debit card abroad for purchases. Some charge the basic international use charge in addition to a currency conversion fee. When you’re in a cash based society, best advice is to take out cash when exchange rates are in your favor and keep it safe. ATMs can charge massive fees as well, so limit ATM use and take out enough cash to last a bit. 5. Pace Yourself- Depending on the program, you are living in a country from anywhere from a few weeks to a few months. Pace yourself, realize that you have time to spend and don’t spend your money all in the first weekend. It may be nice to splurge on nice outings every once in a while, but remember the money you bring is the money you’ll need to make last until you leave. There are many different opinions and nuggets of advice people give regarding money. I would simply recommend saving as much as possible and pacing yourself. Set a budget, and even if you stray, monitor spending so you’ll have enough money to last you. Fees and exchange rates are also inevitable, so be aware of these and remember to take them into account when dealing with finances. Anyway, interning abroad is probably one of the greatest things any student can do while pursuing an undergraduate degree. Interning in any major is nearly essential for experience before graduation and I’m obviously a huge fan of international education – so the combination is fantastic. I personally didn’t intern abroad, but I’ve had a few friends and follow a few people online that intern abroad and the consensus is that it is a great, can’t miss opportunity. 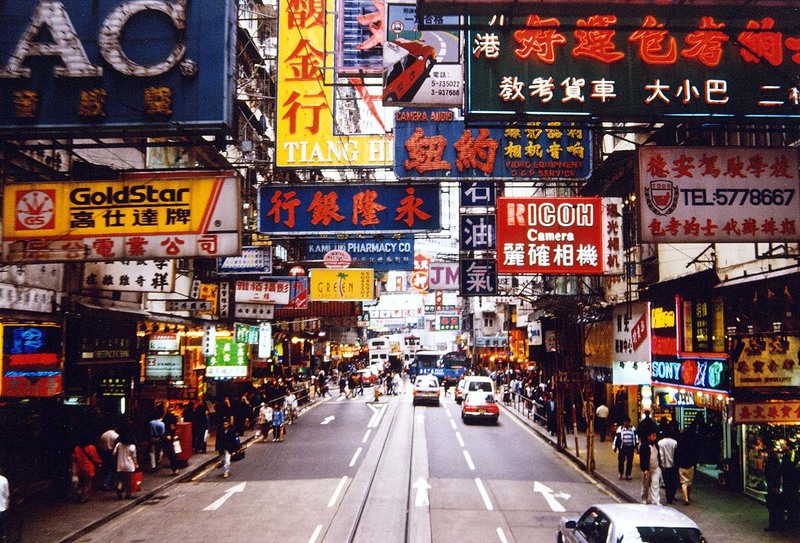 Firstly, interning abroad gives a student a look at another dimension of the host country- the business world. This whole different perspective can contribute to a much broader understanding of the country and culture. There’s a whole social aspect that an abroader would be exposed to that other students wouldn’t have the chance to and it’s essential to understand this if one ever decides to return to the country to live. Upon returning home, one that interns abroad would now have an amazing point to post on a resume. It helps you stand out to potential employers and is experience that a vast majority of people do not have. Working abroad while in college is definitely a talking point and unique aspect to a resume. Many programs have connections to local businesses and link up students with internships as part of programs. 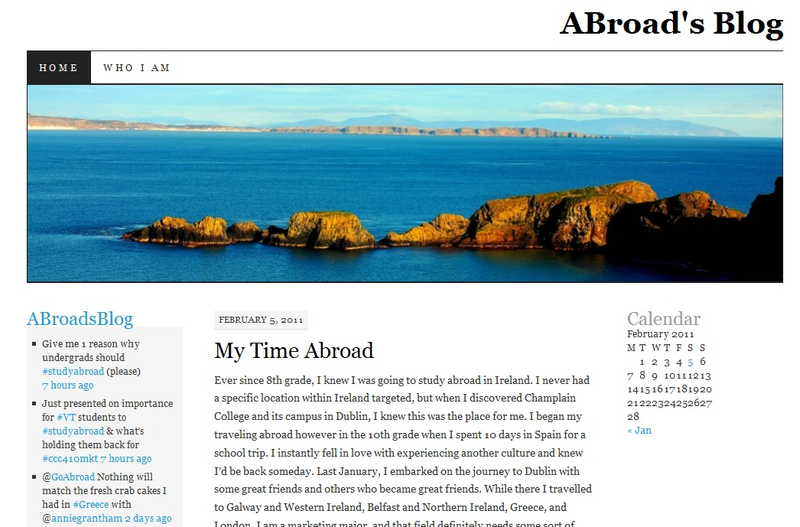 GoAbroad.com has some great resources with internships and tweets (@goabroad) quite often about internships abroad. 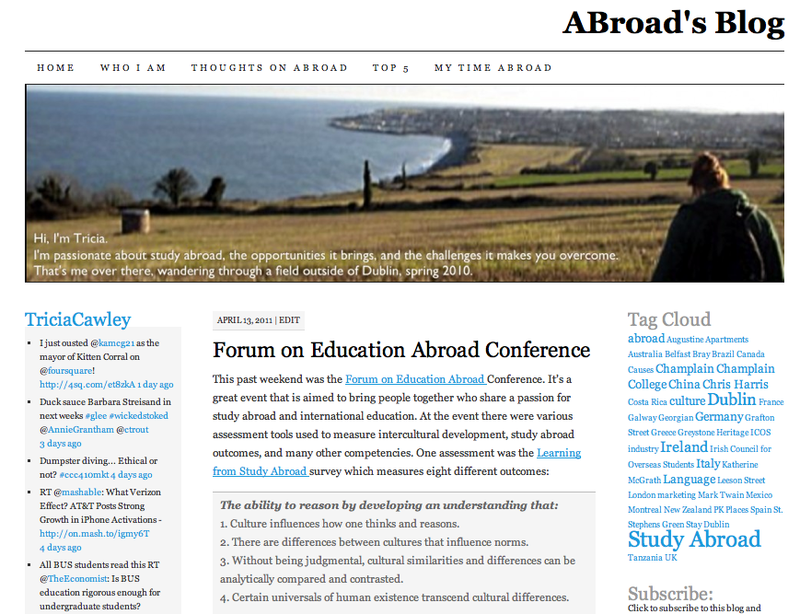 They’re a great resource for anyone looking for some work experience while studying abroad. The other day, my friend @AnnieGrantham, who I spent 4 months with in Ireland, sent me this video she found. It sums up pretty much everything I love and miss about Ireland. I thought I would share and see what everyone else thinks. Thoughts on this video? It might have been an easy assumption, but the United Kingdom is definitely somewhere a graphic designer can gain great experience. It has London, which has everything. It’s a huge nightlife city, historical city, business city, fashion city, cutting edge city that is looking for designers. 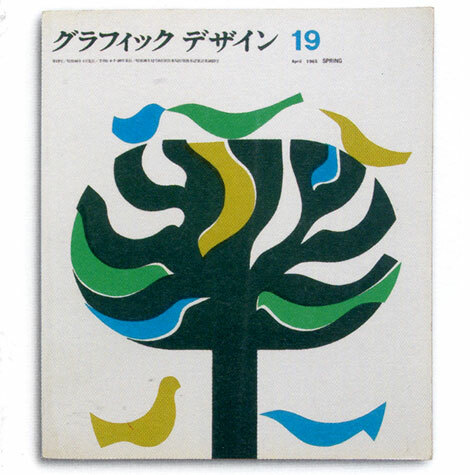 European work in general is a lot different from American design and it’s definitely worth taking a look at. 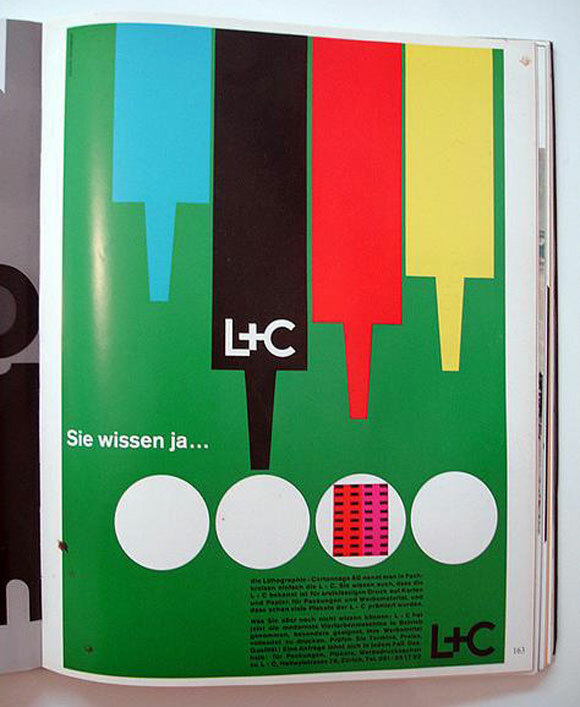 Graphic design in Switzerland is all about grids, lines, geometric shapes, and uniformity. 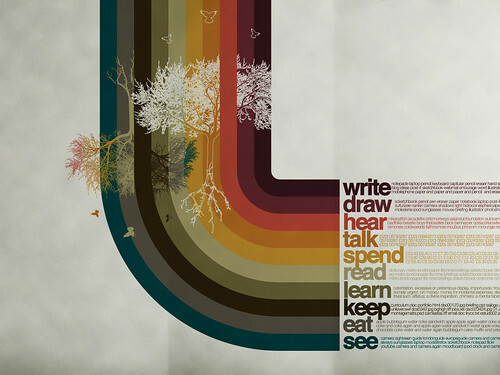 It has a very distinct, clean style that can suit many graphic design majors. Switzerland itself is a major attraction for all study abroad students. The economy, opportunities, and location are big attractions. 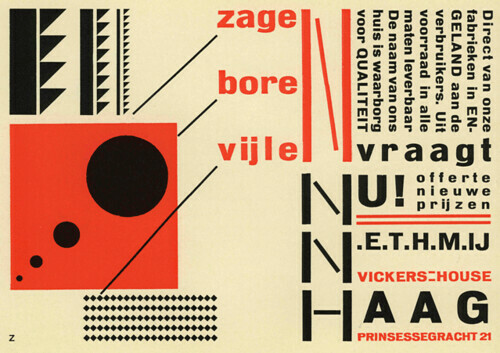 Dutch graphic design has a very distinctive style that is a bit more edgy than other locations. There’s a great permanent exhibit at the Graphic Design Museum that shows the evolution of design through two world wars. The Netherlands also has its own attractions that many study abroad students fancy. A lot of new technologies and concepts are coming from Asia, and the design there is also evolving quickly. The whole anime scene is heavily based in Japan and exposes people to an entirely new form of animation and design. Also, Japan’s culture couldn’t be more different than American culture and facing that allows you to develop life skills and traits that employers look for. Everything is still so traditional, but now with a modern twist. 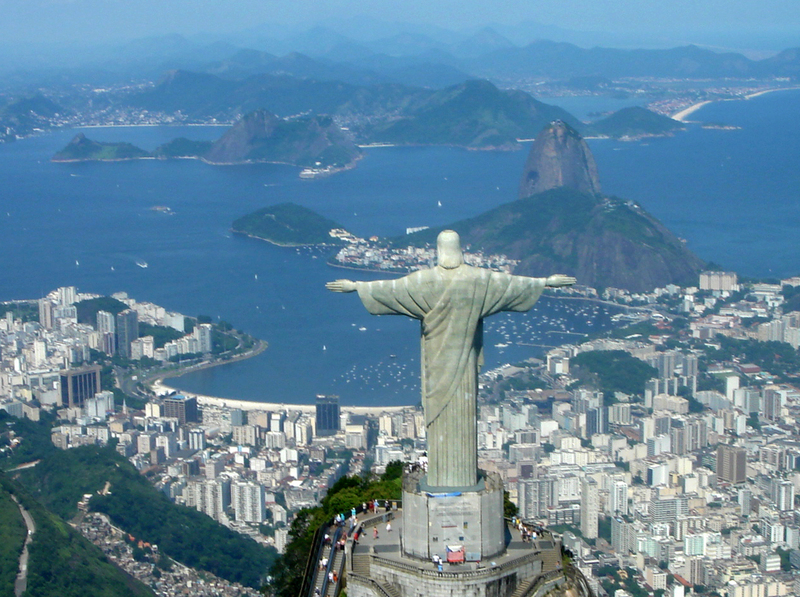 Studying abroad: Is it worth leaving campus for? | USA TODAY College. One of my classmates and fellow RAs, Monique Prevost, posted this article on my Facebook a few days ago and ever since reading it, I’ve been trying to decide to what extent I disagree with it. Because it is another college student’s opinion I didn’t want to have strong negative feelings to it, but after reading it, I literally can not disagree more with his opinion. I respect it, and if I try hard enough I can slightly understand where he is coming from, but I still believe he is wrong. He is completely right in one of his first points that the reason students come to study in the US is because we have the best school systems. After this point, he loses me. He believes that if you are on the fence about studying abroad that you should reconsider and instead, consider what you will be leaving behind. He believes that if someone studies abroad, while they are gone their entire lives back home will change; that their friends will dump them. I can’t say this won’t happen, but I also think that if your friends stop speaking to you because you decided to expand your horizons and study in a different country for a semester to better yourself, then you need better friends. Studying abroad is a once-in-a-lifetime experience. But so is college itself. Living among your peers, spending hours pondering life’s biggest questions or partying up to four nights a week is not something you’ll be doing after graduation. Although this may be his definition of what goes down at college, it doesn’t encompass the most important aspect of college : EDUCATION. The reason to go abroad is to educate yourself. Educate yourself on language, culture, customs, and living. Going abroad is far more than the classes you take there, but the time you spend there, just like the time you spend on your domestic campus. You will learn more about yourself in 4 months abroad than you will in your entire 4 years in college. I had a guest speaker once and he made the class go around and tell their most embarrassing story, because you don’t know someone until you know them at their worst and most uncomfortable. Building on this, you don’t know yourself until you are out of your comfort zone. I don’t mean you have to go abroad to know yourself, but you need to challenge yourself in someway that takes you far far away from your comfort zone. 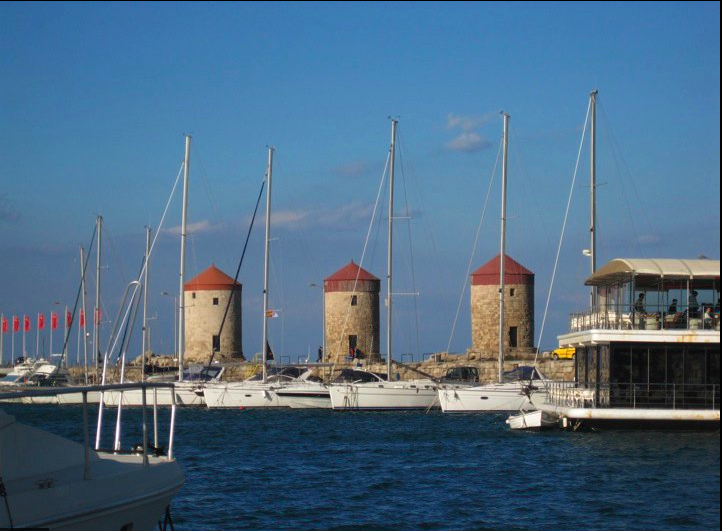 The USA Today blog article encourages those who are on the fence on studying abroad to reconsider and remember what’s at home. I disagree. If you are on the fence about going abroad, go. Thrust yourself into another culture. Get lost in a foreign city. Meet people with accents you can barely understand. Eat something that you literally have no idea what it is. Learn a new culture. Experience something new and love it.